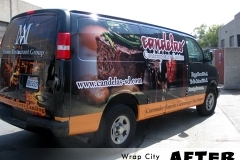 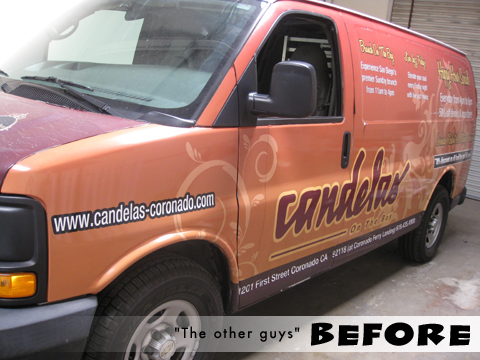 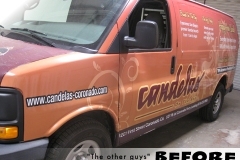 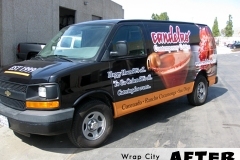 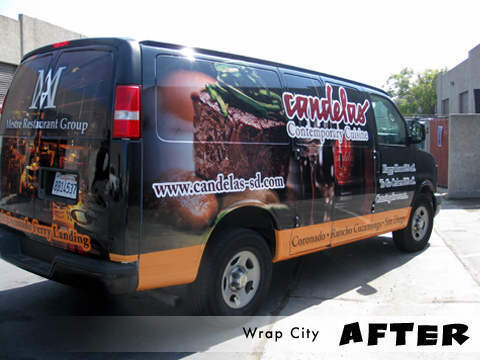 Candelas came to use with an old wrap that they got done from another local San Diego wrap company. 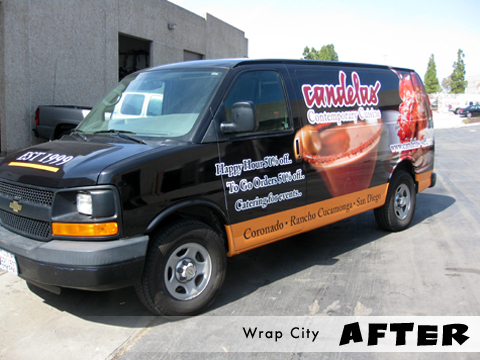 Not only was the wrap beat up, but they were unhappy with the design, print quality, material quality, and installation of the previous wrap. 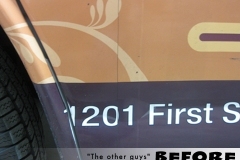 Everywhere we looked on this thing was terrible craftsmanship. 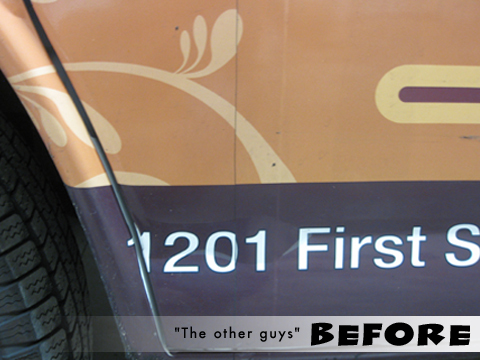 Each side had a total of 7 (SEVEN) seams, and they were not even aligned properly. 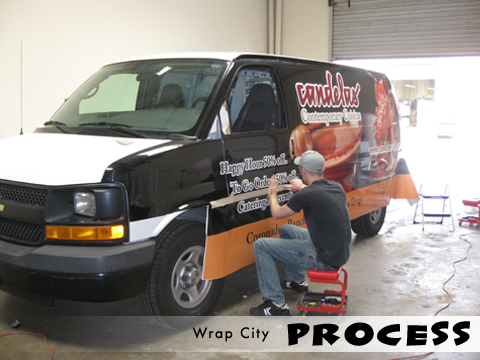 We were able to wrap the van using only ONE seam. 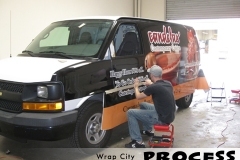 Don’t get suckered in to paying for a bad wrap!